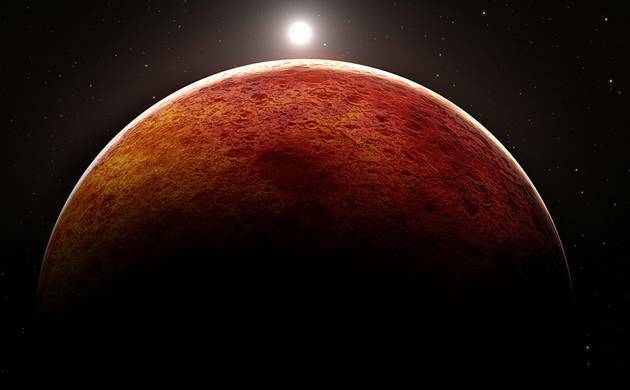 Mars, the fourth planet of solar system, is a dry, cold wasteland and is red in color. Water cannot exist on the planet as the atmosphere existing on it is very thin. But if we go according to Daily Mail, some alien hunters are claiming to have found photographs that show that Mars may have had been blessed with green vegetation at some point of time. An image was taken by Curiosity rover on Sol 164 which showcases an earlier tree stump, with height 3-feet on Mars. The image was published by Paranormal Crucible, while it was later released by NASA recently. “This object definitely looks out of place and in my opinion could be the petrified remnants of a Martian tree,” the video description read. “Object is around 3 feet in height, and with numerous discoveries of plant and animal life on mars, it would be logical to assume, that a variety of tree either existed, or still exists on this enigmatic planet,” YouTube user WhatsUpInTheSky37 further added. YouTube user WhatsUpInTheSky37, Energy Field Radio/ Information Network uploaded the given video. According to NASA, the image was captured by Mastcam onboard NASA’s Mars rover Curiosity on Sol 1647 in March, 2017. Well people have different speculations on seeing the structure. Some believe that it may be a rock that is discovered on the planet, while there are others that believe that there was life present on Mars at some point of time. “It is a good assumption since NASA themselves said Mars was Earth-like when a solar explosion hit the planet, stripping the atmosphere and oceans from the surface,” well-known Martian researcher Scott C Warning shared on UFO Sightings Daily regarding Paranormal Crucible's discovery.